Off their “Afropop 101” Mixtape the duo of Legendury Beatz dishes out the lyric video to “Duasi” a song that was laced in swahili with the help of Tanzanian diva – Vanessa Mdee. Chris Brown's baby mama, Nia Guzman, obviously knows how to take advantage of opportunities. 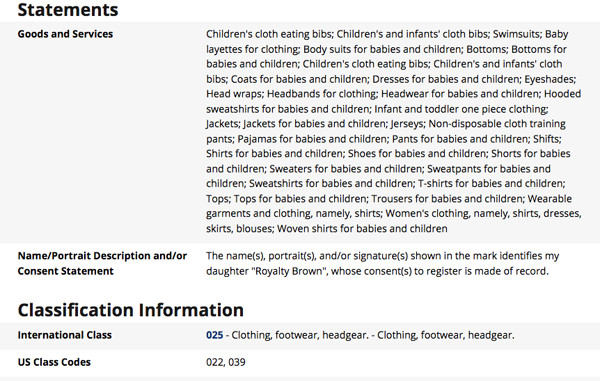 This time, she has filed a trademark for her daughter, Royalty Brown's name and she listed only herself as the owner. 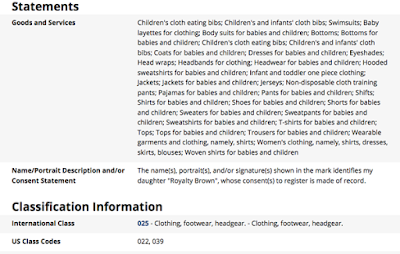 The International class 25 trademark includes clothing, footwear and headgear. Nia filed the trademark in 2016 and has almost finished the process. She has already received an email notification of Notice of Publication. After this phase, the process will be at its final stage which is the publication of the application for opposition. It is unknown if Chris Brown was made aware of the move to trademark Royalty's name but if he wasn't aware of it and is not in support, the final stage gives him a chance to oppose the application. Going with this move, it appears Nia is looking to launch a Royalty Brown clothing line and she is just one step away from achieving this, except Chris opposes it. Chris and Nia have a hostile relationship and have been known to attack each other publicly. 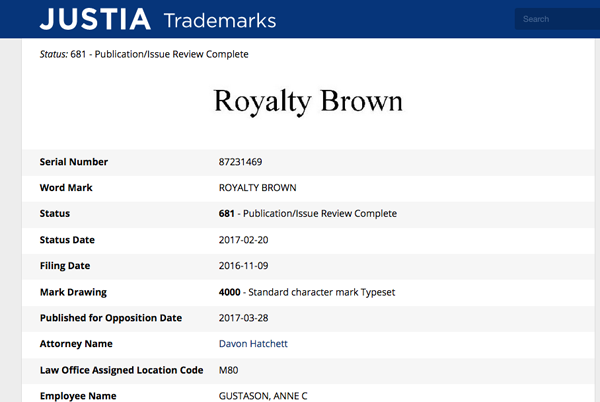 They also battled for custody of Royalty in court so it is a wonder how this trademark filed by Nia will affect their relationship and child support situation. 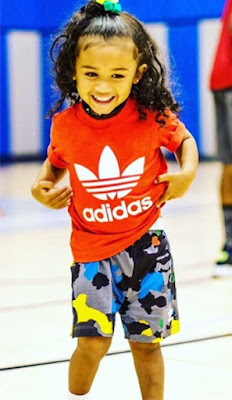 Breezy currently pays $2,500 a month in child support, and he also pays for Royalty's schooling, health insurance, medical bills and nannies. 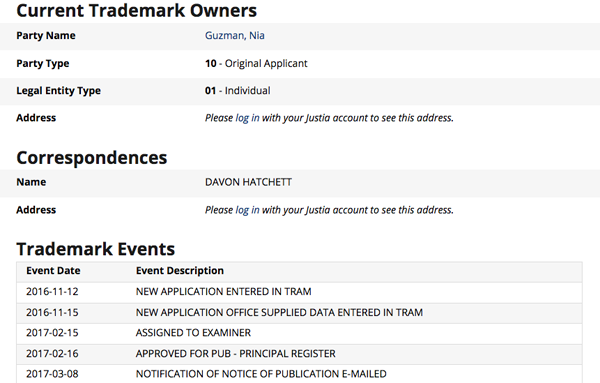 All this is likely to change if the trademark is successful, especially as Nia only listed herself as the owner, leaving out Chris Brown. 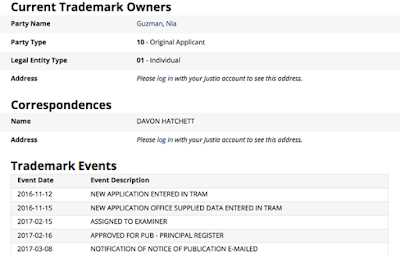 Below are the receipts from the trademark filed. Attention! 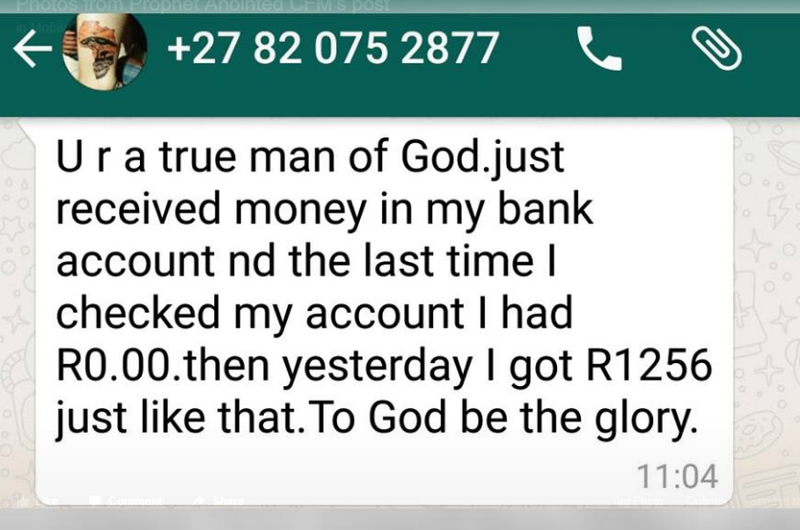 Does miracle money really happen? Have you experienced it before? 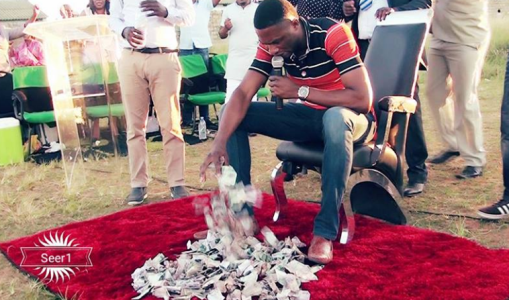 Where does Seer 1 produce this money from? Can people receive this money from all over the world? Mrs Elizabeth Orefuwa, 29, who graduated with a 4.74 cumulative Grade Point Average (CGPA) making her the best graduating student in Lagos State University, has revealed that it was no easy road for her. 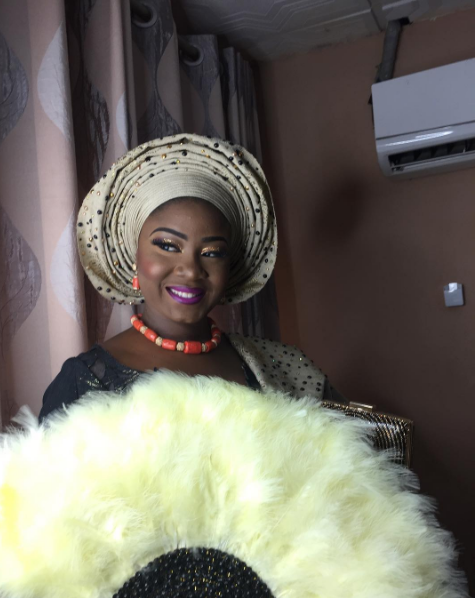 According to her, she wrote the Unified Tertiary Matriculation Examination (UTME) 7 times before finally gaining admission into the tertiary institution. 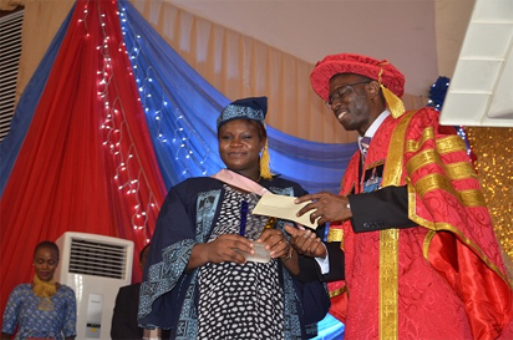 The Accounting Education graduate made this revelation at the institution's 21st convocation ceremony held on Wednesday. According to her, she had always wanted to be an accountant but when she could not gain admission into the university after years of trying, she started a professional career in accounting. “The journey through the institution was not easy; it took me seven years of writing the UTME before I finally gained admission in 2012. 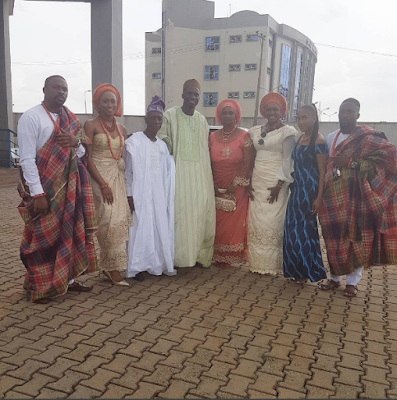 I also applied for direct entry three times at the Obafemi Awolowo University, Ile-Ife. During this period of waiting, I started professional career at the Institute of Chartered Accountant of Nigeria (ICAN) in 2007 and became qualified as an Associate Chartered Accountant (ACA) in 2010,’’ she said. 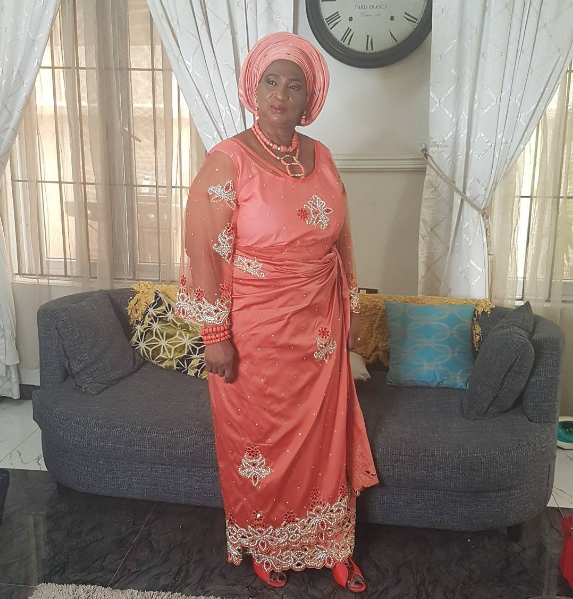 She explained that she did not relent in her effort to get a university education because she was determined and her father also motivated her to get a university education despite having a professional certificate in Accounting. 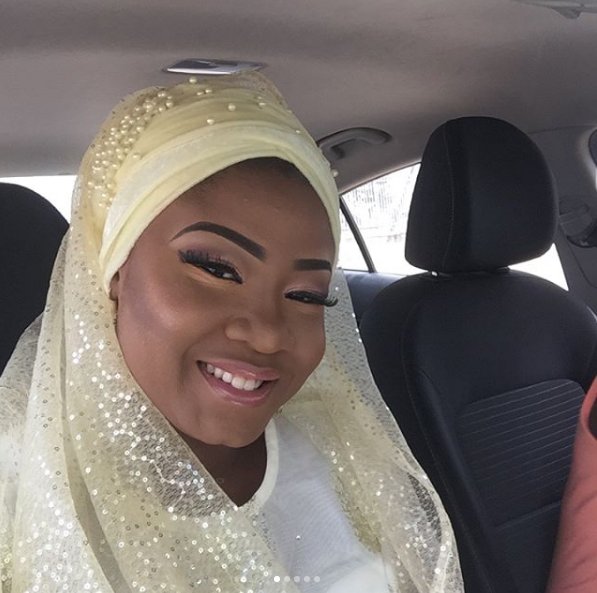 She had wanted to study Accounting but ended up in Accounting education, however, she had no idea she would graduate with the best result overall in the school. "My aim is to get my first degree certificate after several years of waiting and to satisfy my dad, who has been insisting on academic certificate before professional certificate. He would always say to me then that I have put the cart before the horse. 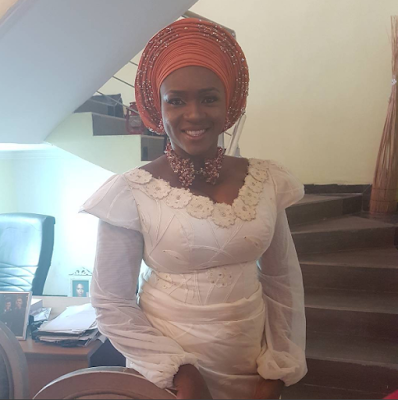 However, what kept me going was self-belief, focus and determination bearing in mind that I am not competing with other but with my own capabilities." Orefuwa got married in her final year and is now pregnant. Surprisingly, her increased responsibilities as a wife did not affect her academic performance. If anything, it even made her better. She intends to teach accounting and also practise accounting as a profession. Burgeoning artiste Bamidele signed on to Stanzee Records has followed up the release of his hit single ‘L’aye’ with a spectacular video for the song. 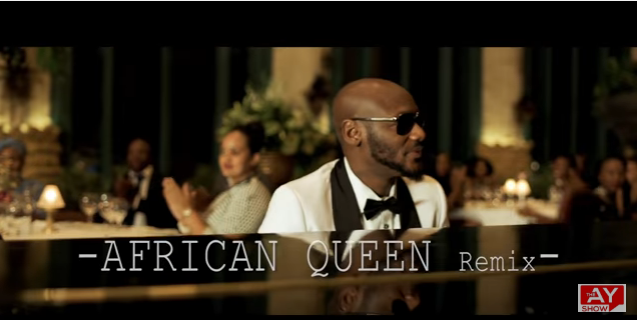 The video shot by Matt Max on location in Lagos, Nigeria is a huge compliment to the song as its compelling visuals and superb production shows the creative energy portrayed by the artiste in the best possible way. 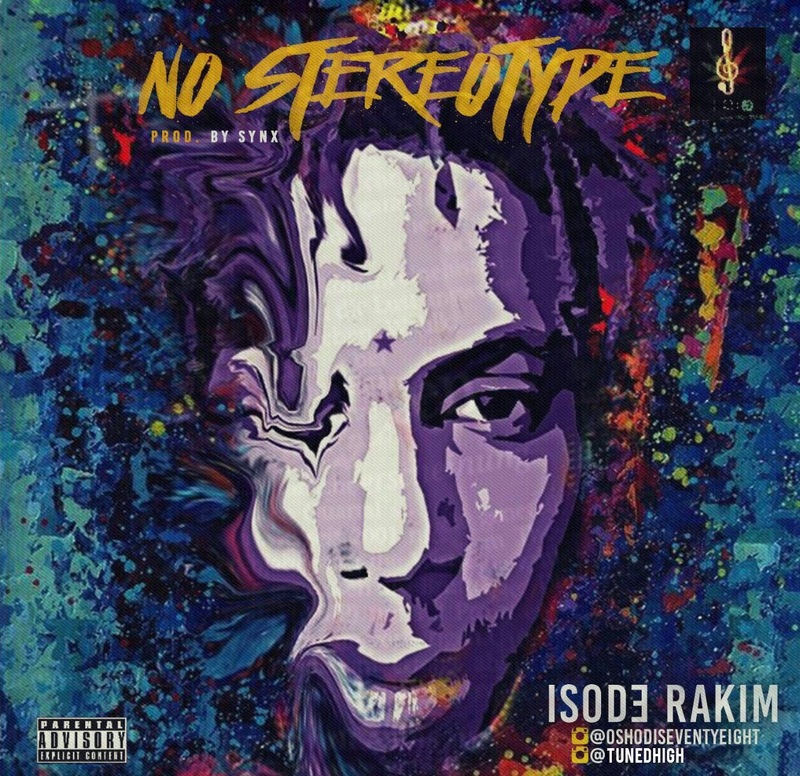 Afro/hip hop artist ISODE RAKIM one of the angels of music sent down to Nigerian born parents with his fortress at High Tunes World Records drops his new hit single titled NO STEREOTYPE. The dope Afrotrap inspired song NO STEREOTYPE features BUCHI and was produced by SYNX. 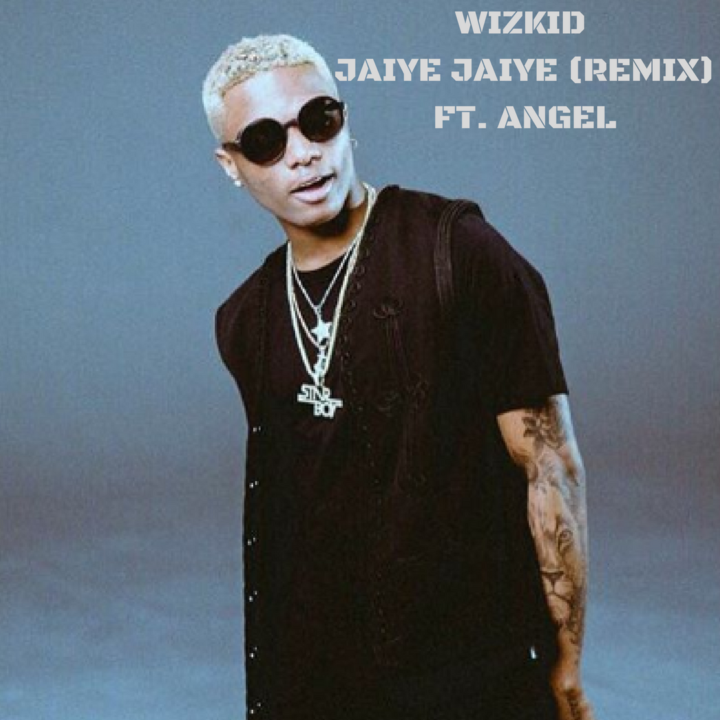 the song which is gradually gaining grounds and receiving interesting reviews and attention is also breaking new barriers. BELMIRO with his good looks ,catchy ,tuneful and irresistibly dance-able rhythm is creeping into the hearts of many. The video interprets the song in line with an interesting storyboard. 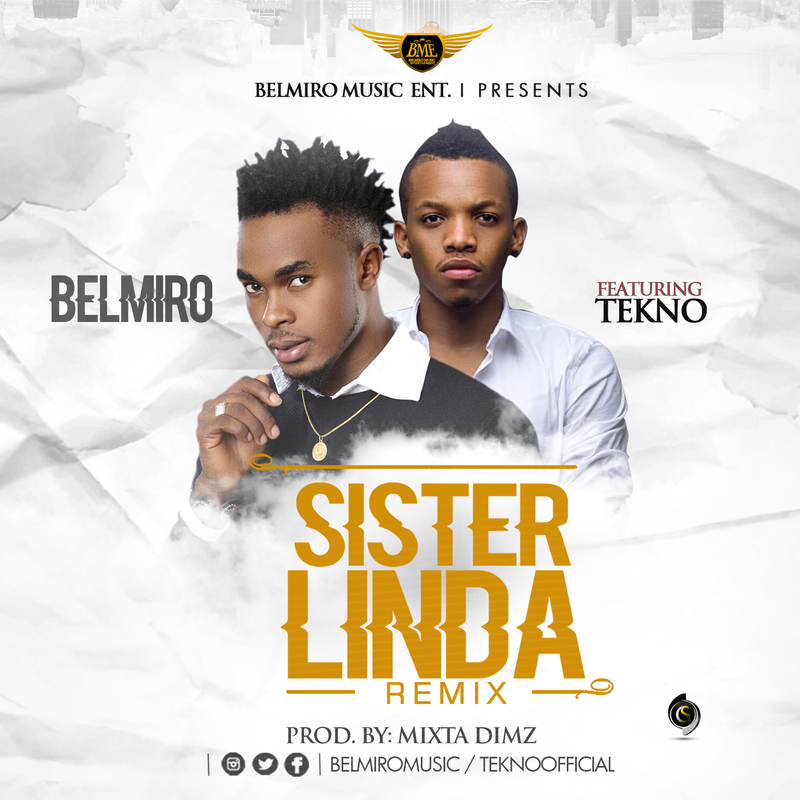 BELMIRO also shows in this video that he can also kick it on the dance floor, brace your self as you are about to be entertained by BELMIRO. 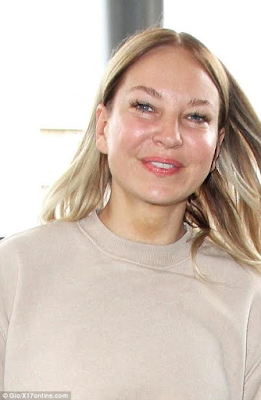 Award-winning Australian singer, Sia, was seen at Los Angeles Airport yesterday without her signature black and white wig. The 41-year-old looked surprisingly youthful without the hair extension and coupled with her casual attire, she could pass for a woman in her twenties. 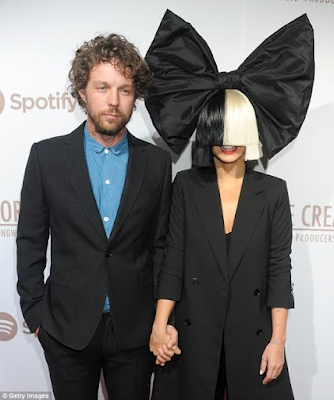 For the journey, Sia wore a midriff sweatshirt and beige Kenzo track pants and paired it with white sneakers. Her face, which is usually concealed with her wig, was exposed to show clear, flawless skin. Her trip comes three months after she filed for divorce from husband Erik Anders Lang. Sia made the announcement in December that she had split with her husband of two years. A Nigerian, who walks with a limp, is suing South Africa's minister of home affairs, the local government, a police officer and an official at the Department of Home Affairs for hundreds of thousands of dollars in damages as a result of this alleged maltreatment. 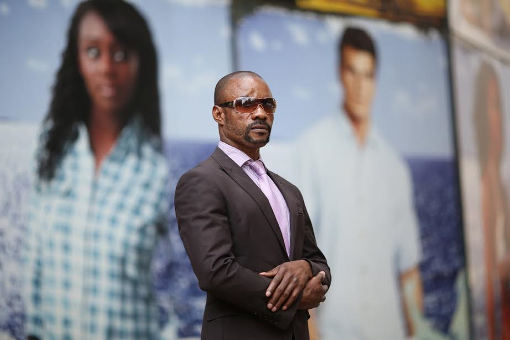 Justin Ejimkonye, was shot in the leg by police in Johannesburg in 2010. The reason is unclear: It took the police 18 months to charge Ejimkonye with any crime. When they did bring a charge, saying he was carrying cannabis, a public prosecutor decided not to pursue the case for lack of evidence. However, Ejimkonye says police shot him because he refused to pay them bribes. Over the past seven years Ejimkonye, who says he is in the country legally, has refused to keep quiet. Now he is pursuing a civil claim for damages. He is suing the local government for 2.5 million rand in damages for personal injury and the Home Affairs ministry for 2 million rand for illegal detention, his lawyers say. He also hopes his civil suit can help reinstate his visa. He says law enforcement and immigration officials have continued to brutalise and wrongfully detain him. A high court has twice ordered the police to set him free. 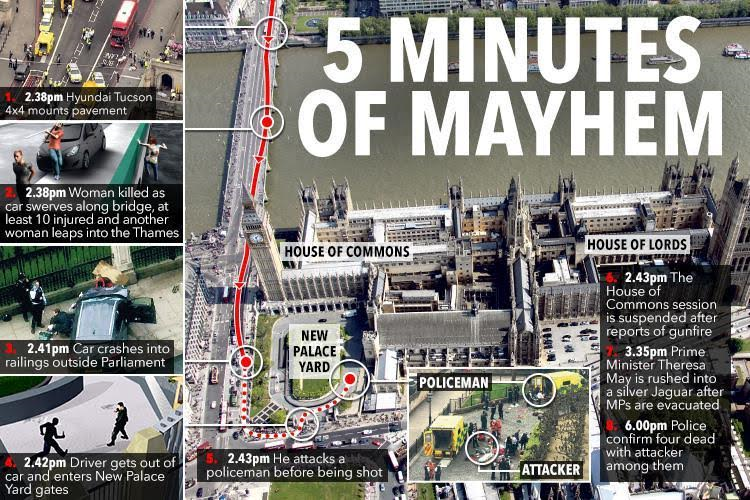 "I still think every day they will come for me," said Ejimkonye, 31. "I'm fighting formy life"His case has been filed at the Johannesburg high court and is due to be heard in August. It is a fresh challenge to the misrule and abuse that even the government sees in the immigration system. 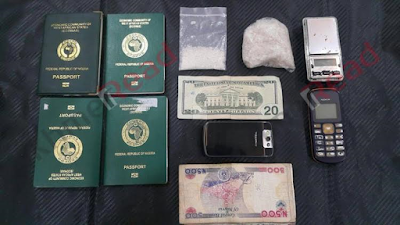 Ejimkonye said he arrived in South Africa in October 2005 and was issued with various permits until 2007 when he married a South African, which entitled him to stay permanently on a spousal visa. He had dreamed of a future as a soccer player, but by early February 2010 was running a hair salon in Germiston, a suburb of Johannesburg. 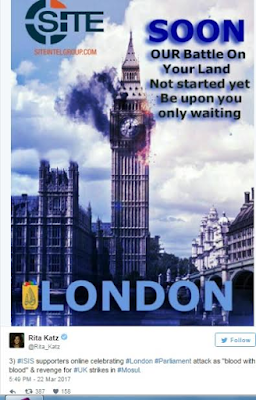 One day, he says, police stopped him as he was driving his Toyota truck. 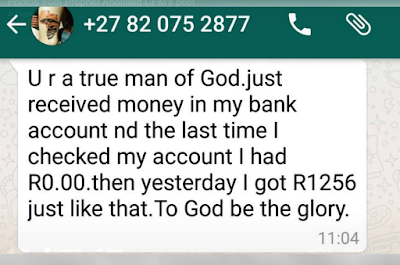 They demanded 900 rand ($70), which he refused to pay. The police impounded his vehicle and charged him a fine to recover it. A few weeks later, on Feb. 25, the same police officers stopped him again, documents drawn up by both Ejimkonye and the police show. Ejimkonye says he told them he would not pay any bribes. At that, he says, police officer John Kichener Johnstone removed his police issue Beretta revolver from its holster and fired a 9 millimetre round into the back of Ejimkonye's leg. The Germiston police station did not respond to requests for comment, or to contact Johnstone. Savage Jooste and Adams, the law firm representing the local government and officer Johnstone, declined to comment. The firm has submitted a defence in Ejimkonye's case, Ejimkonye's lawyers said. 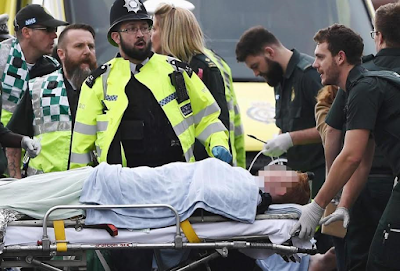 In a separate statement prepared for a court hearing that in the end did not take place, Johnstone said he and his police colleagues were doing "special duties," which he did not detail at the time. They went to question a group of men, including Ejimkonye, who were standing at a street corner. Johnstone saw the "bud of a fire-arm at the rear of his (Ejimkonye's) pants," said the statement, seen by Reuters. Ejimkonye then tried to escape and a chase ensued, Johnstone said in the statement. 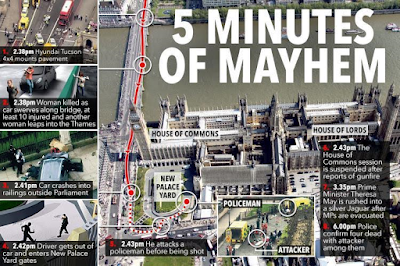 Hurdling bushes, Johnstone said, he shouted warnings at Ejimkonye several times before opening fire as a last resort. A police crime docket drawn up by the Germiston police on the day of the shooting said Ejimkonye was guilty of "pointing (a gun) at an officer." 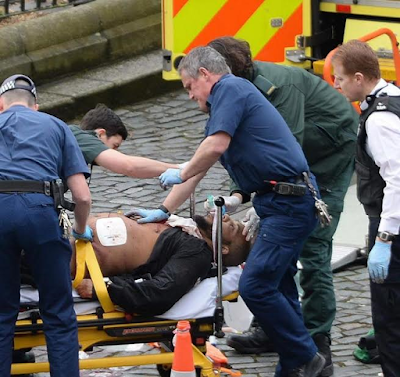 Ejimkonye says he did not have a gun. He collected two witness statements which supported his version of events. 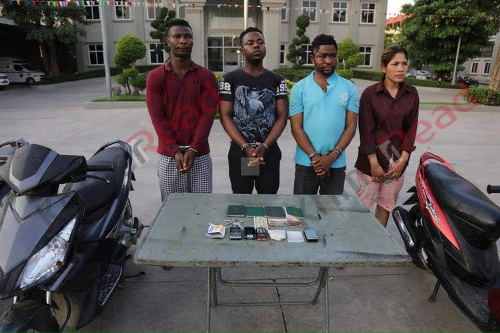 Neither they nor Johnstone's statement were submitted in court because the police did not actually bring charges against Ejimkonye at that time. Instead, in April 2010 Ejimkonye launched his own lawsuit against the police.That grew into the claim that is due in court in August. N ational police spokesman Hangwani Mulaudzi said questions about Ejimkonye's case against police would be dealt with by the internal Independent Police Investigative Directorate (IPID). The IPID spokesman said it would not have looked into it automatically because in 2010 it was "not obligated to investigate cases of shooting unless the shooting resulted in a death." Tshwete, the spokesman for the home affairs ministry, could not comment on Ejimkonye's case but said there were some "rotten apples" in the police and home affairs ministry. "We are not saying all police and home affairs officers are saints." In Ejimkonye's case, a court eventually found that law enforcement officials had broken the law. In August 2011, 18 months after Ejimkonye was shot in the leg, police summoned him to face a charge of possession of "dagga," or cannabis. The public prosecutor withdrew that charge due to lack of evidence, a Department of Justice document shows. Ejimkonye said he subsequently faced more intimidation and physical attacks. On Oct. 14, 2013, according to documents submitted by Ejimkonye's lawyers, Johnstone and colleagues raided the Nigerian's home in the middle of the night and took him to the police station where he was kept for 36 days. A month into his detention an immigration officer, Boitumelo Mokobi, revoked his visa, saying it had been illegally obtained. Mokobi could not be reached for comment. With his visa revoked, Ejimkonye became an illegal immigrant. The immigration authority sent him to Lindela, the detention centre in Johannesburg. There he spent the next six months, court documents show - well beyond the maximum declared by law. In April 2014, Judge Segopotje Mphahlele of the South Gauteng High Court ordered his release. 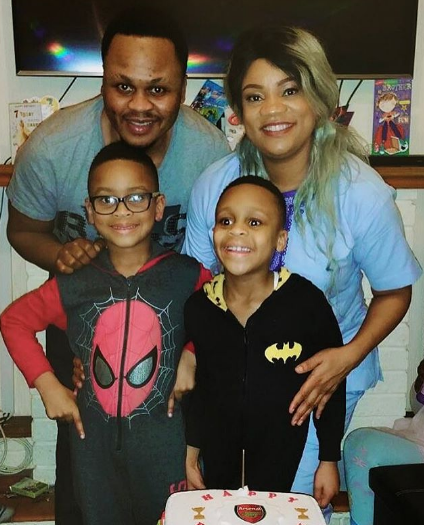 The judge ruled that the police and the government had "dismally failed to comply with the applicable requirements of the Immigration Act" and Ejimkonye had been unlawfully detained. The Nigerian thought he was free. But on May 27, 2014, Ejimkonye says, Johnstone and his crew broke into his home, assaulted him and threw him into the boot of a car. They took him to another police station where, a June 2014 court ruling says, he was held on charges of being an illegal immigrant. Again, his lawyer applied to the high court, which ordered his release. Judge Mphahlele found this second arrest and detention had also been unlawful, and ordered that police should not approach Ejimkonye until his immigration situation was clarified. Ejimkonye has gone into hiding. "The police and immigration officials always think they will get away with it," said attorney Mzamo. 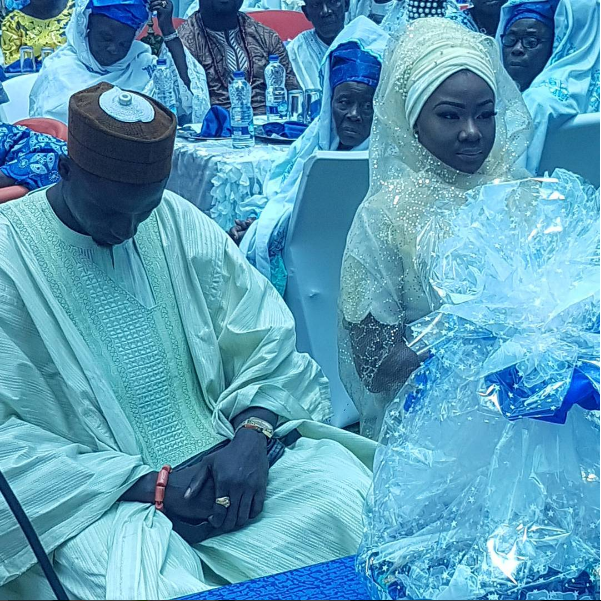 "With Ejimkonye's case, we want to send a clear message that it's not business as usual"
Singer, Waje's younger brother, Ifeanyi tied the knot today with his bride, Moe. See more photos from the wedding after the cut. 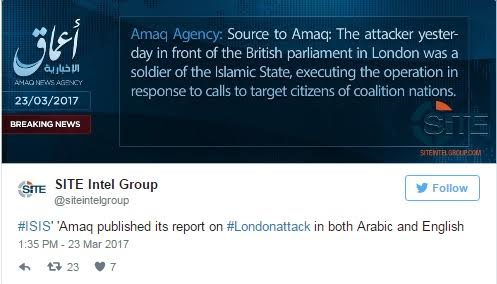 ISIS claim responsibility for Westminster attack, say the killer answered "ISIS call to target citizens of the coalition." #ANTICIPATE BRAND NEW GOSPEL AUDIO / VIDEO SINGLE RELEASE!!!!. TITLE : " EBUBE ". We have seen it all, tested it all, searched everywhere and find NONE like our CREATOR None to compare to Him. He alone RULES AND REIGNS!!. He is the reason we are still STANDING STRONG & TALL in this ministry; says Iyobo4christ and Masterdon. We understand the strength in working together. So we decided to join hands and work on this project in Oneness. 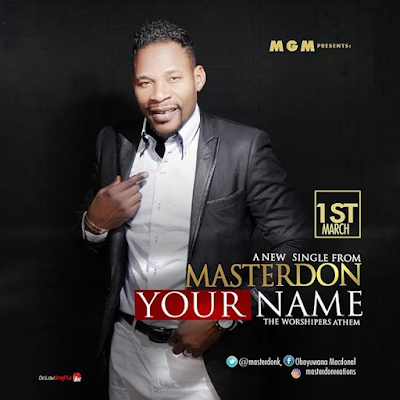 It's time to make known that Gospel music has taken a NEW SHAPE in EUROPE; says MASTERDON! 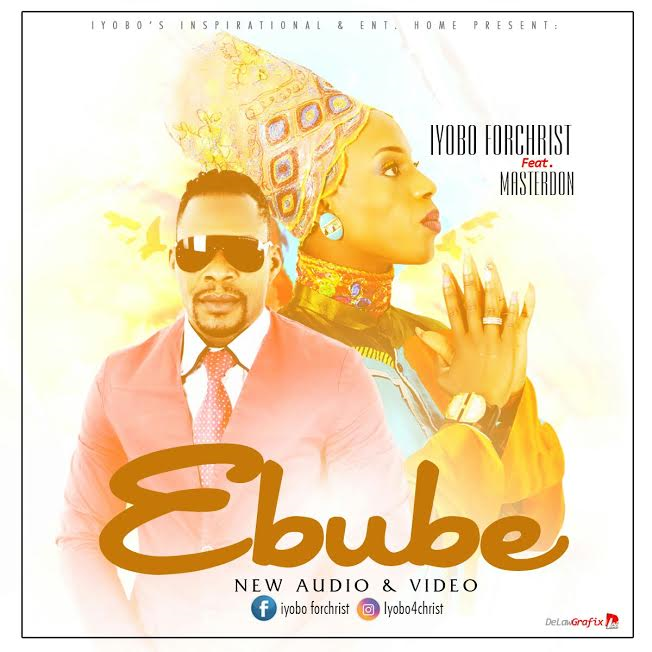 EBUBE is no doubt A BOMB! "ALL POWER BELONGS TO GOD". This song is definitely going to bless and transform lives. So keep your eyes and ears open! 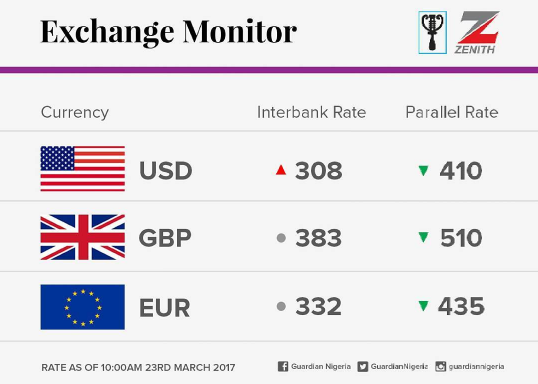 As at today, March 23, 2017, Naira is being sold at N410 to a dollar. 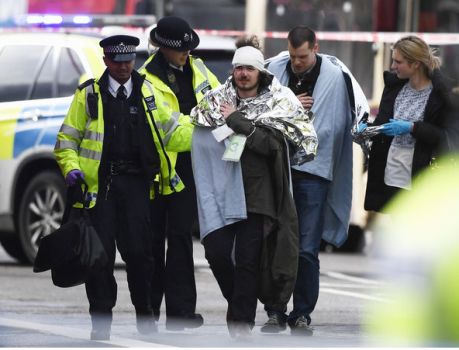 British police arrested seven people in overnight raids as the search for more information about the attack on one of the city’s busiest areas continues. 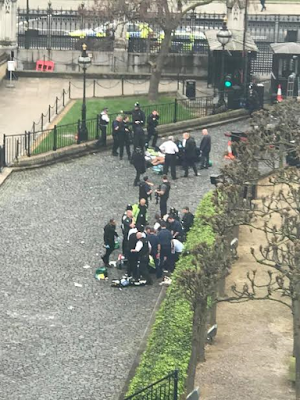 Yesterday, an armed assailant drove into pedestrians on the Westminster Bridge then stabbed a police officer while trying to storm the city’s Parliament building, killing three people and injuring dozens more. Before the arrests were made, authorities searched six addresses across the country with possible links to the suspect, police said. They believe the attacker, who was fatally shot by officers, was inspired by Islamist extremism but acted alone. 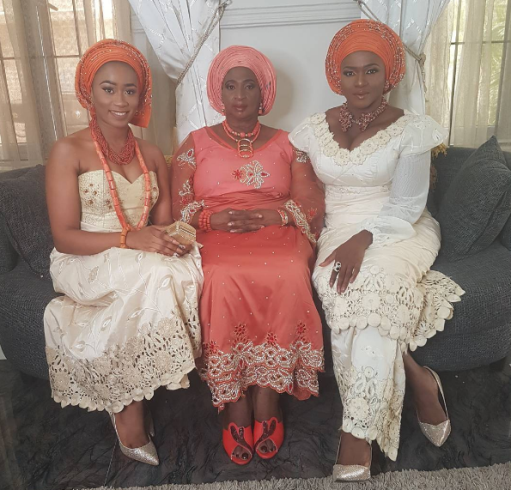 Waje shared this lovely photo of herself with her mom and sister at her brother's wedding. "The 23rd of march is always the beginning of another year @olasexcy . How can I celebrate u my love, my Mr handsome, my Mr sexcy, popsie Lolo n Prof, my Mr cool guy, oni Suru mi? 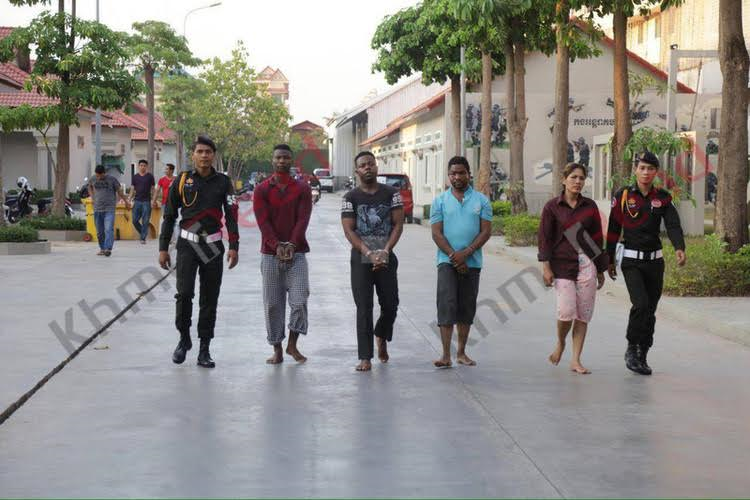 Three Nigerian men and a Khmer woman were arrested for drug trafficking in Phnom Penh, Cambodia on March 17th, 2017. 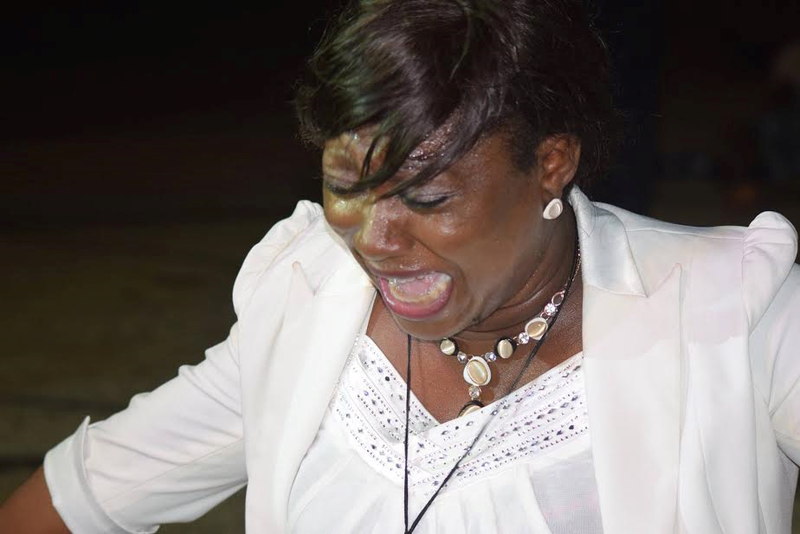 The Ghana, Accra edition of the ‘Help From Above’ crusade may have been ended, but the frills and thrills of the two-day divine encounters will remain on the radar for a long time to come. Indeed, it was a one-in-a-life-time experience God believing Ghanaians would not forget in a hurry. The Oracle of God and president of the Omega Fire Ministries worldwide, Apostle Johnson Suleman, with his wife, Reverend (Dr.) Lizzy Suleman and a host of OFM ministers, moved the Apostolic train to the former Gold Coast country on Monday, 20th of March for the holy conference which came to a fulfilling end on Tuesday, 21st of March 2017. 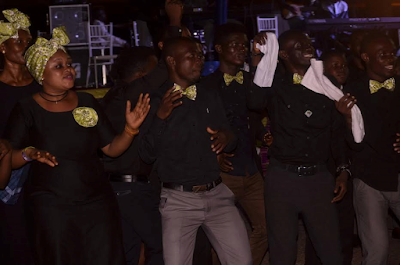 As God moved, attendees who stormed the venue of the event from the nooks and crannies of Ghana were more than amazed at the wonders God performed through His able servant. Apostle Suleman during the conference did not only pray that people’s destinies were restored and their health and financial wellbeing buoyed, he also used a special session of the programme to bless Ghana that God make the country great again. He prayed for President Nana Akuffo Addo, his vice, all the parliamentarians and mayors; he blessed Ghanaian businessmen and women, the public servants and the professionals, praying that the wisdom to make Ghana great again in the comity of nations be released upon her citizens. 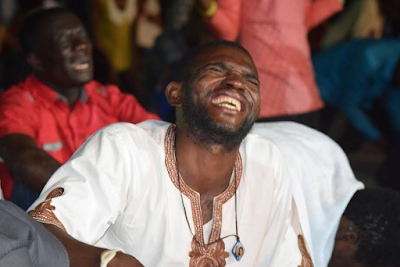 As the man now referred as ‘Lion of Africa’ progressed in the divine programme, thousands were led to Christ Jesus and received His mantle to shatter the wrong foundations of their life. 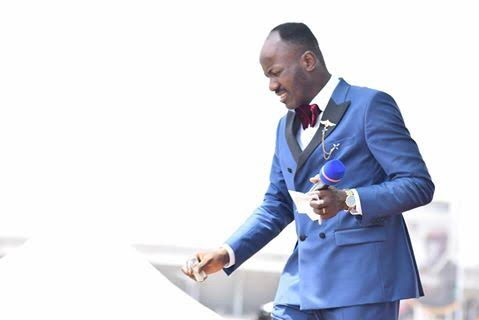 “Any tree that is not of God in your life, by this encounter it is uprooted”, Apostle Suleman demanded of God as he led the flocks in supplication. 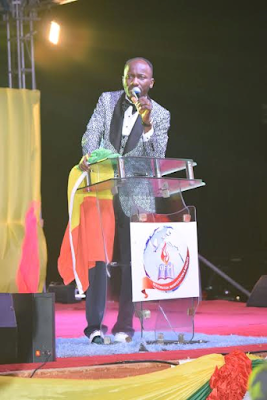 In a surprise manner, the OFM Ghana used the occasion to celebrate Apostle Suleman whose birthday comes up every 24th of March. A giant cake was presented and superb praise and worship songs held. And as the programme came to a close with the symbolic handing over of Ghana’s national flag for consecration, the man of God blessed the mass choir of the OFM Ghana with the sum of $1000 (one thousand US Dollars) for their steadfastness and brilliant presentation. 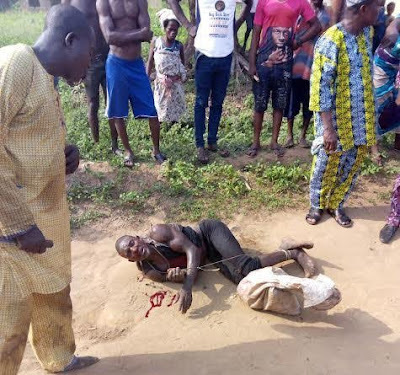 Suspected ritualist, Toafeek Hassan who was caught with a woman's decapitated head and hands on Sunday, has confessed that he was paid N4000 to butcher the victim. Taofeek who was paraded yesterday at the Ikeja command headquarters by the Lagos State Commissioner, Fatai Owoseni admitted chopping off the victim’s head with a cutlass, while two clerics (alfas) and a herbalist held onto her hands. 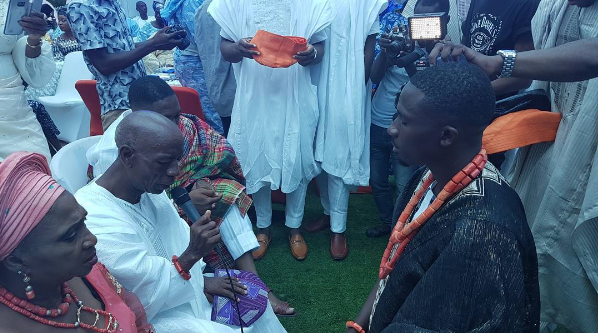 He said the cutlass used was given to him by the herbalist who contracted him for the job. According to him, the victim was brought to Lagos from Sango Ota, Ogun State. 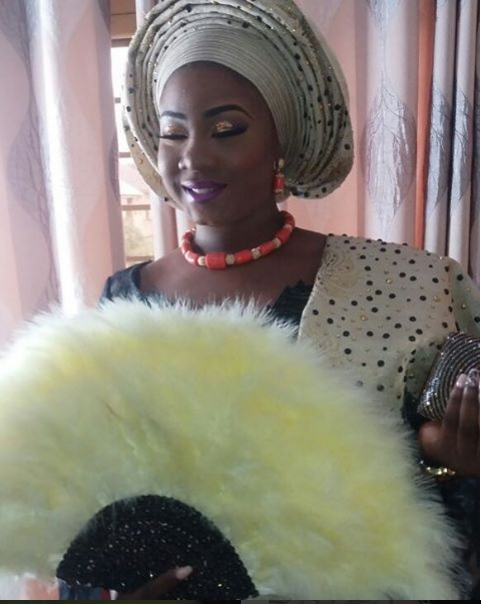 'I live at the Itoga-Zeba area of Badagry. I am a wood cutter and at times I assist owners of coconut plantations to pluck coconut. The whole thing started on Saturday evening when one of my herbalist friend known as Manase came to me to say that he was expecting two alfas from Sango Ota. He told me they would be coming with a lady and that he would pay me N4000 to help butcher the woman. He told me the two needed some fresh human parts to prepare a concoction for one of their clients. 'True to his words, the two alfas arrived Itoga on Sunday evening. I noticed that before their arrival, the two alfas had used some charms on the lady. I noticed that she was just obeying their directives without asking any question. I asked her where she came from and she explained that she resides at Otta and that she had gone to seek spiritual help from one of the alfas. On Tuesday, Toafeek led the police to his slaughtering ground where he killed an unidentified woman.